This bench/step stool works well in the kitchen, the bathroom, or any other room in the home where there is a high shelving! It also works well as a plant stand!! 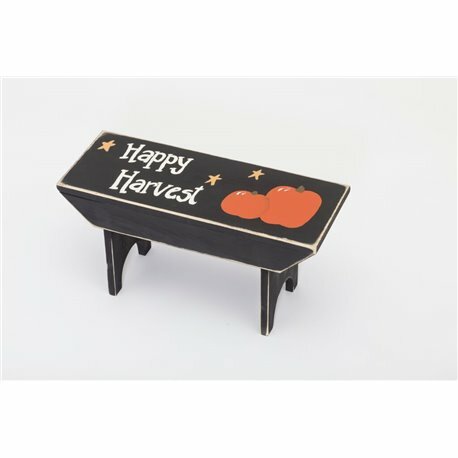 This stool features a hand painted schene of primitive pumpkins, a few stars and boasts " HAPPY HARVEST." Add rustic charm to your home this holiday season with this handmade, primitive Harvest Painted Bench. Perfect for your Living Room or Front Porch. Crafted by Pennsylvania Amish.